Here are some of our favorite coats that are “in” this fall/winter. Hopefully these picks will help you choose the right coat for your outfit! Several years ago, I purchased a cropped black faux fur coat to wear over a holiday dress. Back then, I definitely only considered wearing it for a dressy occasion. Now faux fur is everywhere! There are so many furry, fuzzy jackets and coats that can be dressed up or down. They are eye -catching, fun, and people will want to hug you! (This might be a good or a bad thing lol) Now the little black faux fur coat I bought years ago is more stylish than ever! Here is the black faux fur coat I’ve had for years. Now I love wearing it with dressy and casual outfits! 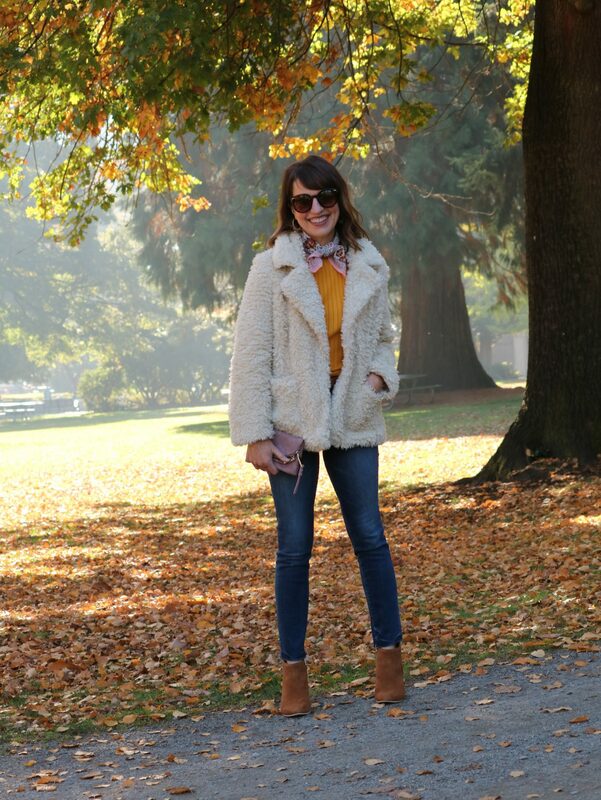 My off-white furry jacket is perfect with jeans or other casual to dressy/casual outfits. Julie’s black furry coat can easily be dressed up or down, especially because of the longer length. These are two of our favorite casual coat styles. They are better for mild temperatures. You can keep them on as part of your outfit, or layer them over a sweater to use more for outerwear. Love how they give an outfit a cool, edgy vibe! I have worn my moto jacket so much with casual outfits, and even over dresses! I absolutely love this velvet bomber jacket I recently purchased from JCrew! The velvet makes it so special and unique! A trench coat is a timeless, stylish, classic coat style. 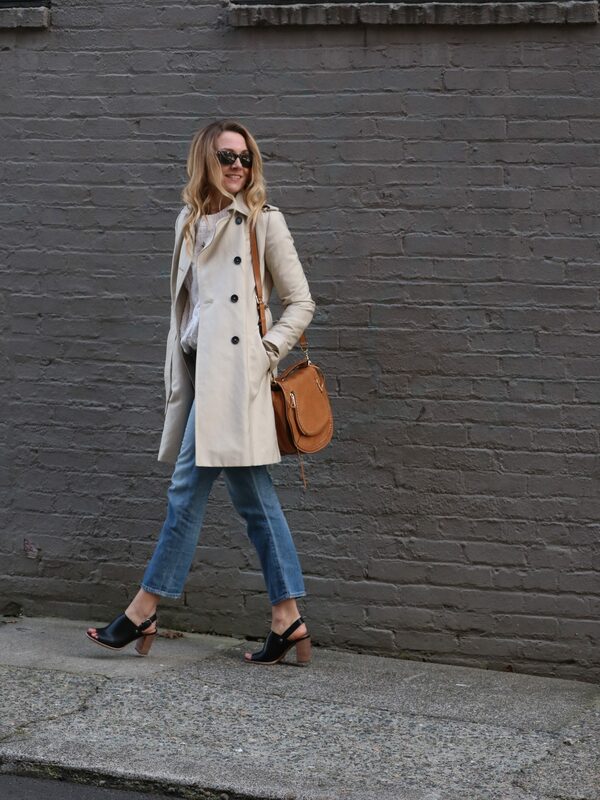 The great thing about a trench is that it looks amazing with jeans or over a skirt or dress. 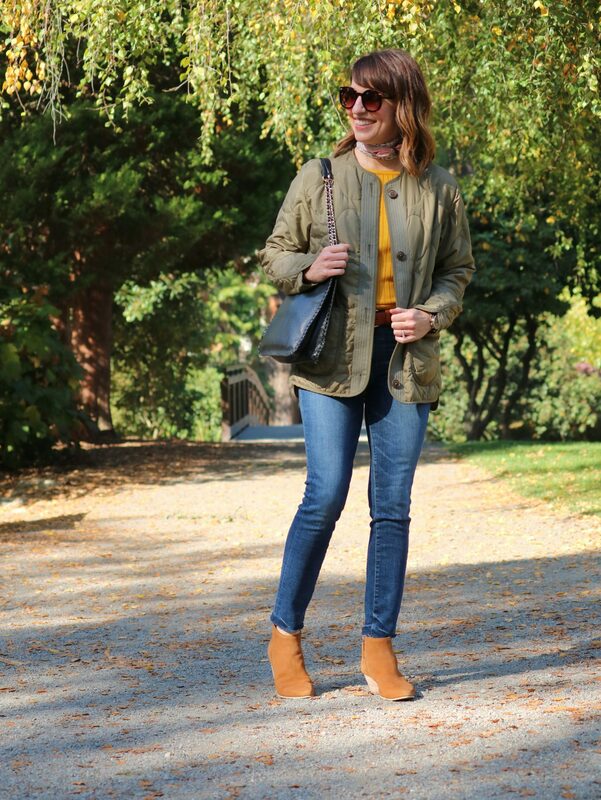 Longer coats like a trench are also more flattering over longer cardigans or tunic tops. Plus, wearing one makes you feel like you can solve a crime lol! My kids call me Clueso when I wear mine. Everyone needs coats for casual outfits, but that doesn’t mean it has to be boring or unstylish. 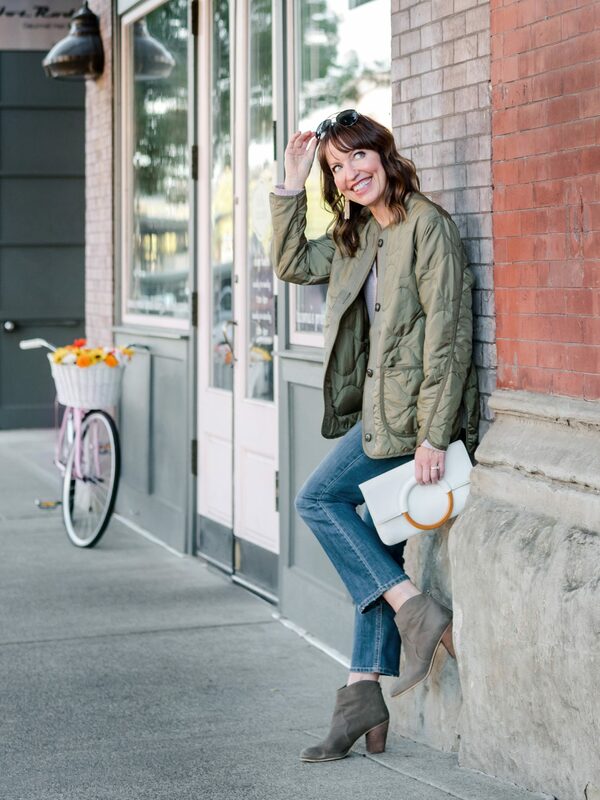 Sometimes having a cool casual coat can make dressing casually a snap because underneath can be as simple as leggings or joggers and a sweatshirt. We love quilted or puffy jackets for their warmth, easy care, and cool shapes. Oversized and boxy is the trend, with lots to choose from at all price points. Don’t try to find something that does double-duty as a ski coat–instead find an inexpensive fun and funky coat that gives your casual outfit wow factor! The boxy shape of this coat is so cute and flattering! Best of all? The outside pockets are perfect for slipping in a phone or glasses! The oversize puffy coat is all the rage right now. It’s an easy way to look cool while running to the grocery store! Next time you walk out the door, think about your coat instead of blindly reaching for the same old same old. Have fun with your outerwear and consider it part of your outfit this fall/winter! My skin has never felt more soft and moisturized.